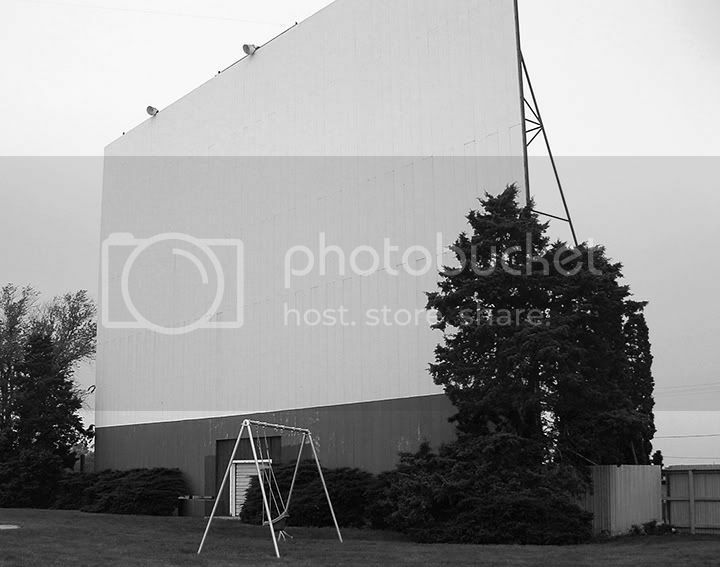 One gray morning, early in the spring, I was out shooting landscapes near my father-in-law's place in Sterling, Illinois, and I came across the Midway Drive-in. I'm guessing the Midway is about midway between Sterling and Dixon, known for magenta petunias lining the city streets and the "boyhood home" of Ronald Reagan, or "Dutch" as they like to call him. 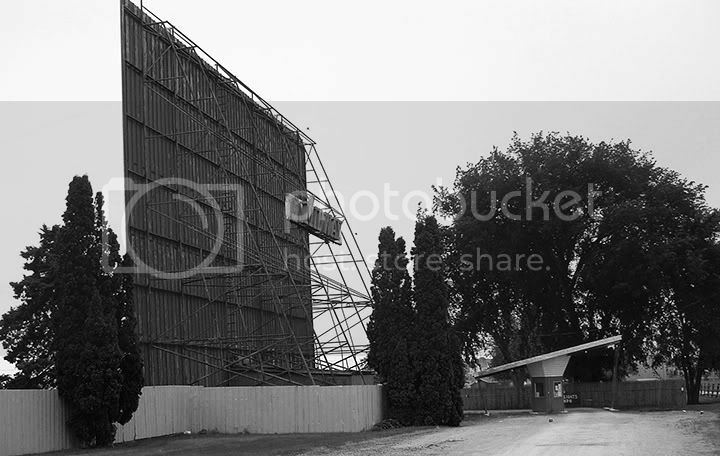 The Midway, I learned, was built in the seminal year of 1950, and claims to be the oldest "standing" drive-in in the state. 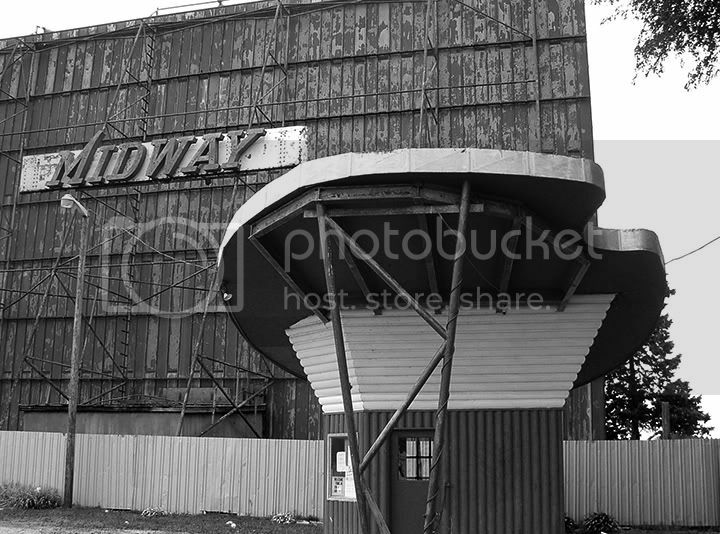 The Midway owner's marketing strategy is to capitalize on nostalgia for the era, playing period rock n' roll music before the first show (unfortunately for the photographer, the speaker-poles have been replaced with AM-FM radio broadcasts). There's always a double feature at the Midway, and at intermission they show the "classic animated “Dancing Hot Dog” short" and other vintage concession ads. 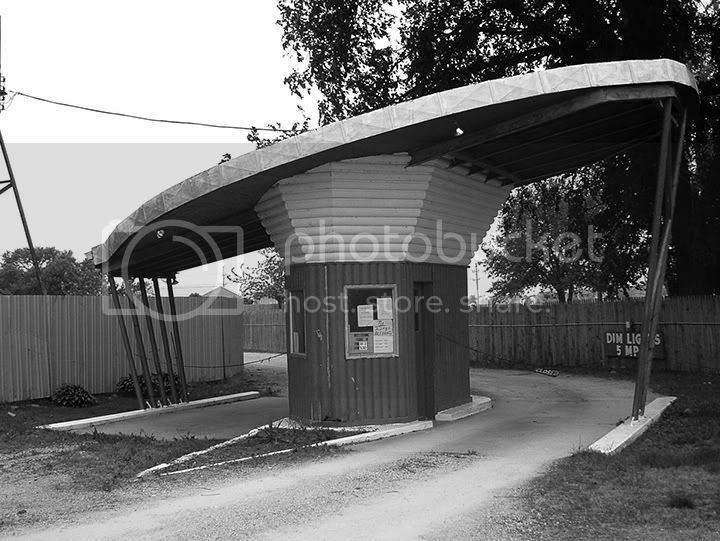 What appealed to me about the Midway is the exposed architecture of the structures. 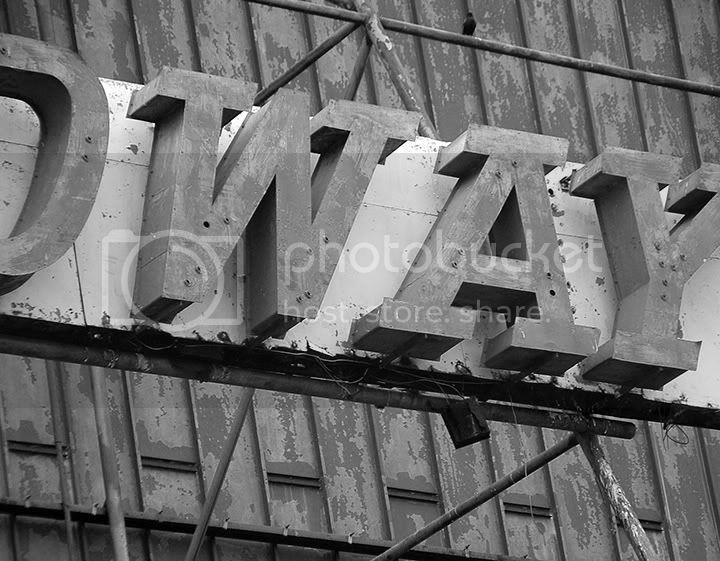 I love the 3-D construction of the letters on the sign. Not vacuum-formed plastic, but sheets of metal cut and bent into shape, each letter riveted together by hand. Of course, the roof of the box office is great. Although the Midway folks call it "spaceship" styling, it's shaped like an artist's palette and is tipped at an alarming angle. Notice the struts that hold it up are of completely different designs, side to side. The exterior walls are all faced with half-sawn logs or fenceposts, giving its asymmetrical shape a log-cabin kind of feel. Seeing the place in the soft morning light when it was empty and silent was an oddly emotional experience, like I had missed the party and didn't even know about it.